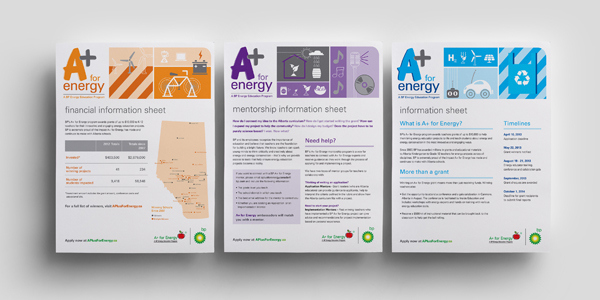 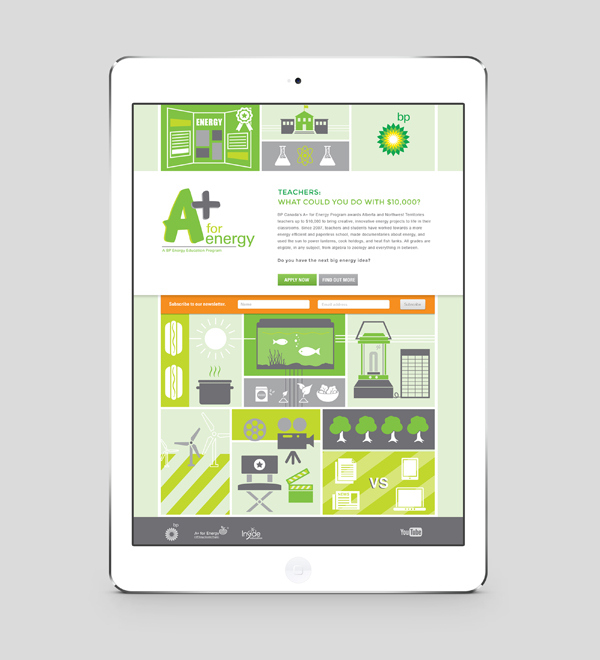 BP A+ for Energy is a high profile community outreach program by BP Canada, designed to promote energy literacy in students from K-12. 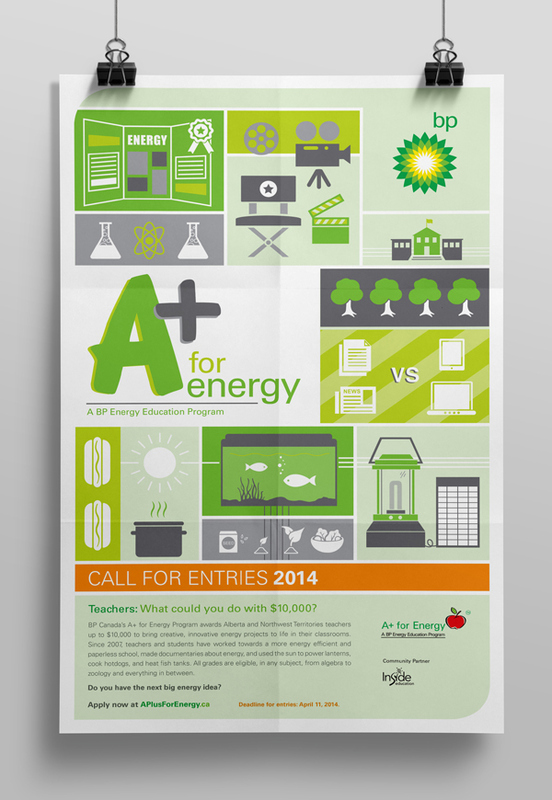 The program is aimed at teachers. 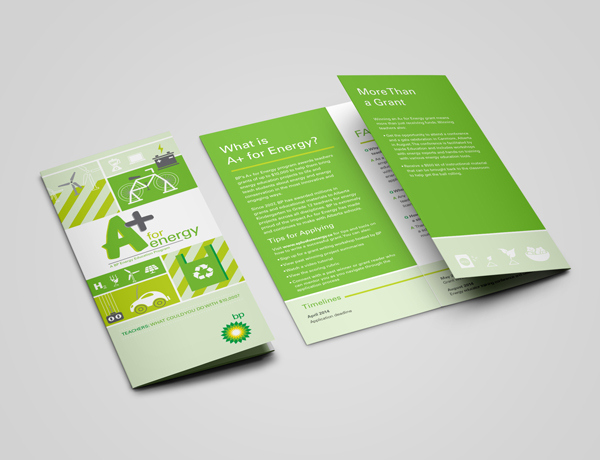 Elements of the program include posters, brochures, website, online ads and videos.